For over 30 years Bestway Carting , Inc. has been serving Brooklyn’s Residential and Commercial Dumpster Rental needs. We offer Roll off and Container rentals from 10-40 yards as well as Packer Trucks. We provide waste management plans and LEED Reporting. 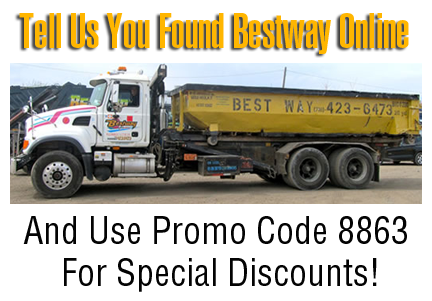 If you need Construction & Demolition debris Removal or weekly commercial trash collection call Bestway today for a competitive quote!